Current US and Russian war games at a time of serious international tension are very dangerous and someone’s mistake or a computer error could push the world over the brink into a nuclear war, claimed Dr. Helen Caldicott to RT. UK Foreign Secretary Philip Hammond claims the UK could deploy US nuclear missiles as a response to increased “levels of activity both by Russian forces and by Russian-controlled separatist forces” in Ukraine. Hammond added Russia needs to get "a clear signal" that "we will not allow them to transgress our red lines." Nevertheless, the UK hosting US nuclear missiles still remains a distant prospect. 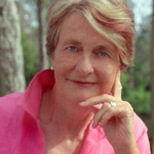 For more on this RT asked pediatrician Dr. Helen Caldicott, founding president of Physicians for Social Responsibility and president of the Helen Caldicott Foundation for a Nuclear Free Future. RT:Why is the US is so eager to show its nuclear might? What is the point of that given that fact that multiple states possess nuclear weapons right now? Helen Caldicott: It’s very alarming. I think the US has pushed Russia into a corner over Ukraine. I know that Putin has reportedly put his nuclear missiles on a higher-than-normal state of alert. Both Russia and America are practicing nuclear war games close to each other’s borders and a mistake by someone, an officer, a computer error at a time of heightened international tension could easily push us over the brink into a nuclear war. I think both countries are playing nuclear chicken with each other. RT:What can be the repercussions of such US actions as deploying arms in the UK to frighten Russia? HC: Russia could reply or respond in kind and start deploying cruise missiles itself in Russian territory and then we end arms control, it violates the intermediate-range INF agreement. We are heading into very dangerous territory, which very few Americans or people around the world understand which could lead us to nuclear war. We can’t have these sorts of dynamics between the two countries that can in fact destroy almost all life on earth and create a nuclear winter. Once one country launches its missiles, the other country will do it and that’s it. RT:How should the world react to statements like those made by the US government? HC: The Americans don’t understand what is really happening in Ukraine, they don’t understand how the US government is pushing Putin into a corner. Nor do they understand that their lives and the lives of their children are at risk. So therefore without education and proper understanding nothing will be done. I’m very worried. RT:As a nominated Nobel peace activist, please tell us, would Obama be awarded the peace price now – taking into consideration his current policy? HC: I don’t think he would. Obama is a very intelligent man but I don’t understand what he is doing at the moment. He talked at the G7 meeting and with David Cameron about deploying cruise missiles in Britain. It’s very serious and now I don’t think he would be awarded the Nobel Peace Prize now. RT:Is there any sense at all in nuclear arms race right now? HC: There is absolutely no sense and I’ll tell you the human race is sleepwalking towards extinction and I’m pessimistic. As a doctor, my prognosis is grim and if things don’t change rapidly internationally I think there will be probably a nuclear war and that’s the end of everything and all of us. RT:You said that the demonstration of nuclear might by the US may even lead to a new war. This is a very disturbing scenario. What would be the point of no return in this case? HC: There is no return. 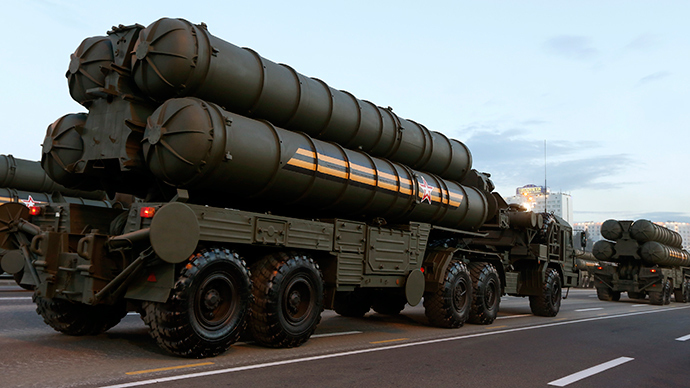 Once a weapon is launched and they are poised on a hair trigger ready to go in both Russia and the US. Of the 16,400 nuclear weapons of the world Russia and the US own 94 percent of them….This is a very serious situation and it’s the first time Russia and the US have confronted each other militarily since the end of the Cold War. I hope Putin is sensible and restrained, and I just hope that Obama will be too. But it’s not just Obama. You see the US has a policy still to fight and win a nuclear war against Russia. And when they do that launch first and land 200 hydrogen bombs on each of your missile silos and kill your missiles. The fact that billions of people will die is called by the Pentagon ‘collateral damage’. I don’t know what the Russian military strategy is about this, but the whole thing is extremely dangerous and the news media is not talking about it on the whole. The last thing I would say as a medical doctor who helped to found International Physicians for the Prevention of Nuclear War (IPPNW) and Physicians for Social Responsibility, nuclear war will create the final epidemic of the human race, and indeed Gorbachev recognized that and in the end Reagan did and they worked together at Reykjavik and they almost came to a decision to abolish nuclear weapons in the world – two mere men. Now that has to happen again, we must move rapidly towards abolishing of nuclear weapons. If the US decided to abolish nuclear weapons, Russia would to. I know they both would. What if Russia decided to abolish its nuclear arsenal - it would make the US very bad in the eyes of the rest of the world and then maybe the US might come to the party and start abolishing its nuclear weapons. Something really radical has to be done or else I think the human race will become extinct.